Manual No and Box number are displayed. 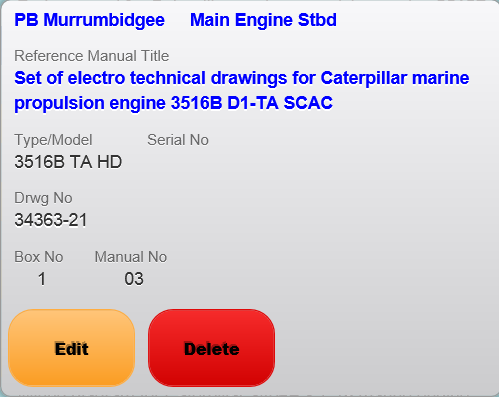 By tapping respective Manual, additional equipment information is available. Elevated user permissions are required to add / edit or delete Reference Manuals. When adding a new Reference Manual, the title should be exactly the same as that of the Reference Manual.